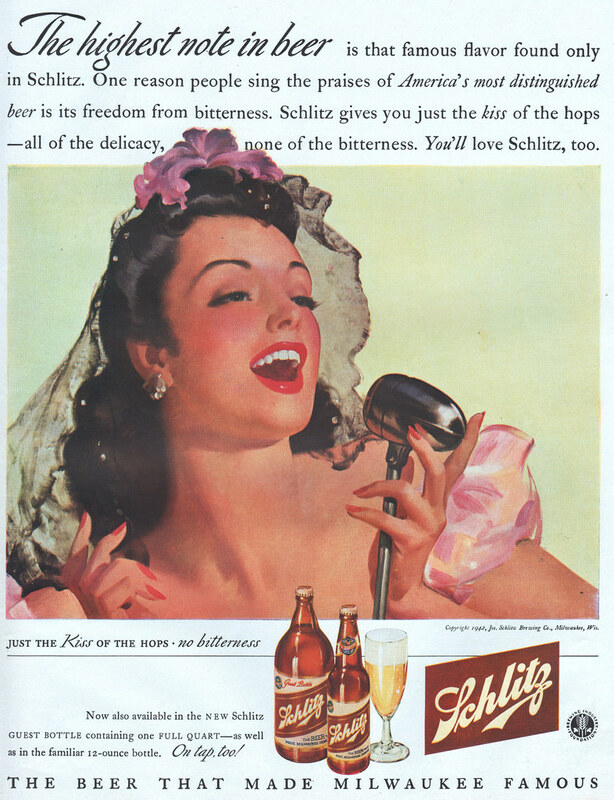 Saturday’s ad is for Schlitz, from 1942. “Just the Kiss of the Hops” was a popular slogan used by Schlitz for several decades. It’s meant to express that their beer had no bitterness, but they definitely had some fun with it over the years. In this ad, a woman with an orchid in her hair is singing into a microphone, apparently “singing the praises of America’s most distinguished beer.” Or maybe that’s what gave her the courage to step up to the mic in the first place, who knows?